I was reading through some of the reviews of Killen’s Barbecue in Pearland and a number of the comments struck me. It seems to me that many of the first timers to Killen’s Barbecue haven’t had barbecue recently, or simply don’t understand great Texas barbecue. I also believe that some folks may have not seen the skyrocketing beef prices in 2014 and may not realize that the price has gone up at the last place they might remember. Below is a list of tips and information to get the most out of your visit. Pearland is located about 15 miles south/southeast from the heart of downtown Houston. It is not a tourism based city and there aren’t a ton of things to do. There is a giant flea market near beltway 8 and you can check out their visitor’s site here. Weekend line at opening. It’s not bad during the week. The line forms an hour before they open, and the line can be especially long on weekends. While Killen’s Barbecue has instituted a ticketing system which is a great idea, the wait can be an hour on the busiest days at lunchtime. For comparison, the wait at Franklin Barbecue is three-four hours, and the wait at la Barbecue can run up to two hours. It’s not a “gimmick”, it’s popular. 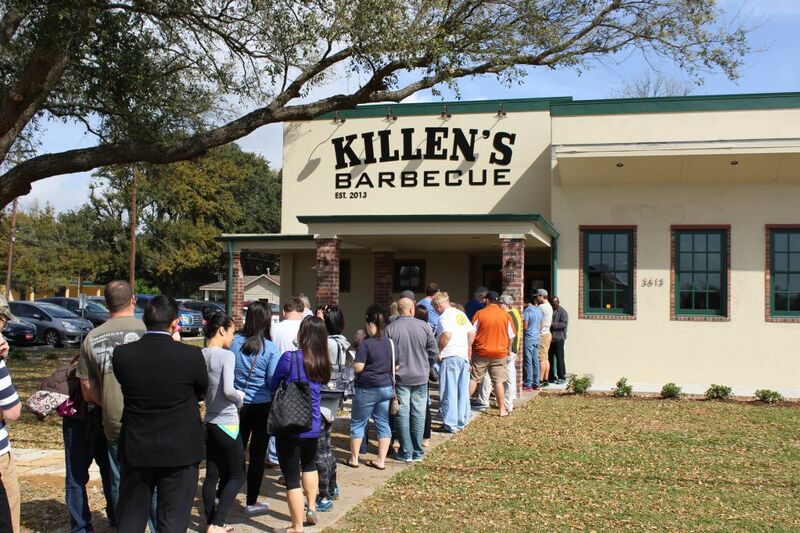 If you arrive at Killen’s between 11am and about 12:30, there will be a wait. Know this and relax under the giant oak tree after grabbing a ticket. There are basically three options: Get there around 10am and wait for an hour until opening time. If you do it on a Friday, Saturday, or Sunday Killen’s Barbecue usually offers free beer (donations accepted). Grab a ticket for your place in line, grab a beer or water, and sit in the shade. Enjoy the hour with family, friends, or strangers. Get there after 12:30. On a weekday try 1pm. The line should be very short, although there is a small chance they may be out of one or more items. Get there after 2pm. You may not have as many choices of meats and your favorite side(s) may be out, but there likely be no wait. Some days they may not run completely out of meat until 5pm but the odds of your favorite meat choice still being available become slim the longer you wait. I do not recommend rolling up to the building at 11am. If you do, do it when they have free beer and enjoy the time. Many customers are overwhelmed when they finally get to order. There are numerous meats to choose from, Killen’s offers Brisket, Beef ribs, Turkey, Pork Ribs, Sausage, Pulled Pork, and Bone in Pork Belly. Currently on Tuesdays they offer Chicken Fried Steak, on Thursday’s the feature is Chicken, Friday’s are prime rib, and now on Sunday’s they are serving up Fried Chicken. There are of course sides and desserts. Some people don’t know whether to order by the pound or plate, or how much to order. This takes time. The meat is cut fresh. If the meat is pre-sliced it will dry out quickly. It is also sliced on request; if you prefer a leaner cut just ask. Because it is tender, brisket is sliced fairly thick. This is normal for good brisket. This means you may only get a few “slices” of brisket on a multi-meat plate, but this is normal at the best barbecue joints. Bad brisket gets sliced very thin in an effort to seem more tender. There is one cashier. I don’t even understand why this seemed to be a complaint. I only recall one cashier at Franklin, la Barbecue, Snow’s, Louie Mueller, John Mueller, and many more. Yes, there are some joints out there with multiple cashiers and assembly line meat cutters; but Killen’s is far from the only barbecue establishment with one cash register. Why don’t they cook more? Can’t you throw another brisket on? A brisket takes 12-15 hours (and longer) to smoke when done “low and slow”. A whole raw brisket can run $50 and up depending on the vendor and quality. A brisket will shrink 40-50% of its size while smoking. Factor in the costs of wood, staff, taxes, electric bill, etc and you should realize that you can’t throw a few extra briskets in the smoker “just in case” it gets a little busier. Good barbecue joints don’t reheat leftover brisket, so wastage is a very important concern. To combat this, many will intentionally sell out daily. A few examples; Franklin, la Barbecue, Snow’s, Louie Mueller, John Mueller, and more. For two hungry people, you can spend upwards to $50. You can also get away with much less by sharing a single 4 or 5 meat plate, ordering sandwiches, or ordering the pork ribs, turkey, or sausage in larger quantity than brisket since they are a little cheaper by the pound. The complaints of high cost at Killen’s compared to other joints are laughable. Let’s look at comparable prices for one pound of “Moist” brisket. Brisket can be fatty, and can be lean. Be sure to tell them if you want lean slices. A brisket has two parts, one of them lean and the other has more fat. Fat is flavor. When its perfectly rendered it melts in your mouth. It also melts as it cooks and adds flavor to the brisket. This is normal and many barbecue fans love this. When the meat is undercooked, the fat is rubbery, chewy, and even gristly in extreme cases. The meat itself also becomes tough and chewy. I’ve had undercooked brisket at a number of joints across Texas, but not at Killen’s Barbecue. If you don’t like fatty brisket, then ask them for lean, or for a mix. They will gladly slice to your request. Just ask. Good brisket is sliced thick. Because it is tender it doesn’t need to be sliced thin. It also tends to fall apart if it’s not cut thick enough. Tough brisket is usually sliced very thin in an effort to mask the toughness. If for some reason you prefer thinner slices, ask them and they will try to accommodate you. Maybe your reference point is the ribs that are sold at the grocery store. 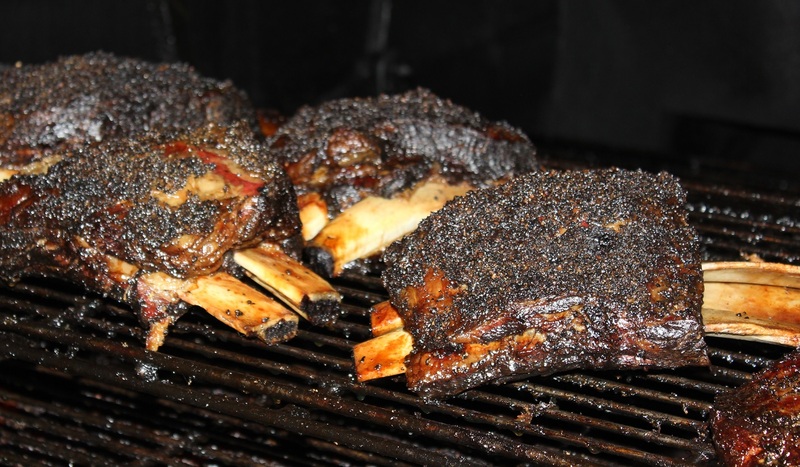 The beef ribs sold at Killen’s Barbecue, currently the hot item at many joints, are called beef short ribs and come very large. There are two cuts; one cut has ribs that run around ¾ a pound each. The ribs on the other cut can easily weigh over a pound and can run up to 1.5 pounds. There are only 3 ribs on these cuts. The staff can’t “make” you a smaller rib, cows are big. I have paid over $30 for one at another establishment, there is no trickery going on at Killen’s. 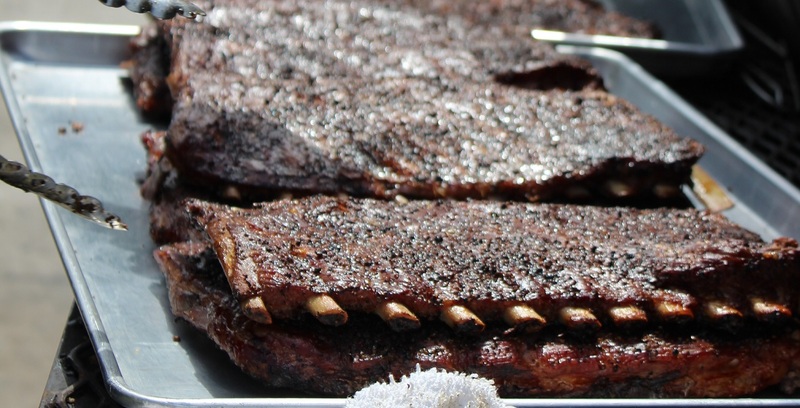 The other cut of ribs comes 4 bones to a cut. These smaller ribs around ¾ pound have been served on their rib plate, which was only $15.95 last time I visited, and this includes two sides. I’ll do the math for you – if you consider each side on the plate worth only $1.50, then thats 12.95*.75 for a price of around $9 a pound. Don’t tell Ronnie and staff we did the math here, because this is a great deal. By the way, if you order the big beef rib and not the beef rib plate, it will be weighed with the bone included. This is how its done everywhere. So what should be ordered? Turkey - Wow, just wow. Smokey all the way through but moist. Bone-in Pork Belly - This one is not for the weak. It’s basically pork ribs with smoked bacon intact. It is rich and the belly can be fatty. I thought it was great but I don’t order it every time I visit. Chicken Fried Steak, Prime Rib, Chicken, and Fried Chicken – I’ve missed out on these and they are all on my short list. Unfortunately most are served during the weekday and Killen’s is almost 100 miles round trip from my work. How to order: Go for the 4, 5, or even 6 meat plate. Double up on brisket or your favorite meat. This way you get plenty of meat and two sides. It’s also a great way to share with someone and cut down your total cost. Save room for dessert, though. Sides: Creamed Corn – It is a fantastic side. Took me a few trips before I strayed from my normal potato salad and beans that I get everywhere, but now I have to have it every time. Desserts: Bread Pudding – This is great stuff. I’ve only had bread pudding at a few places, Golden Nugget in Vegas among them, but this was on a whole different level. Banana Pudding, Pecan Pie, Buttermilk Pie, Carrot Cake, and cobblers - I rarely eat dessert with my BBQ, that’s just how I roll. I have heard some great feedback on the desserts here and do not doubt they are tasty. I’ll get to them all eventually. So there you have it. 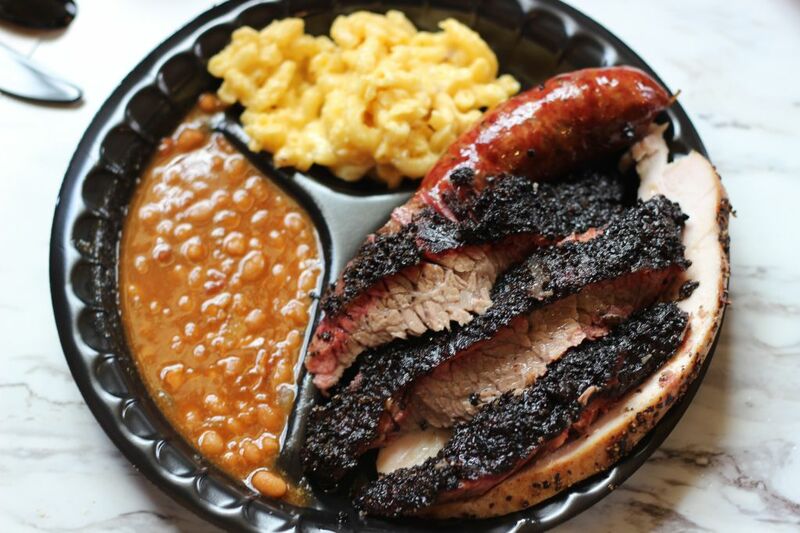 You’re ready to go enjoy some of the best barbecue in the state of Texas.